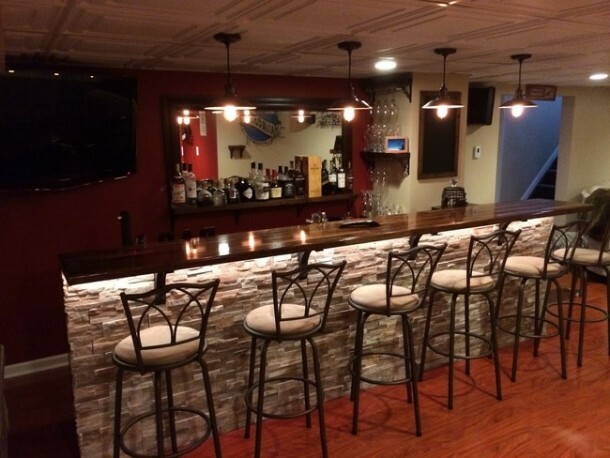 This guy had his basement free, so he decided to save the pain of walking up to the bar everyday, and made a bar for himself in the basement of his home. 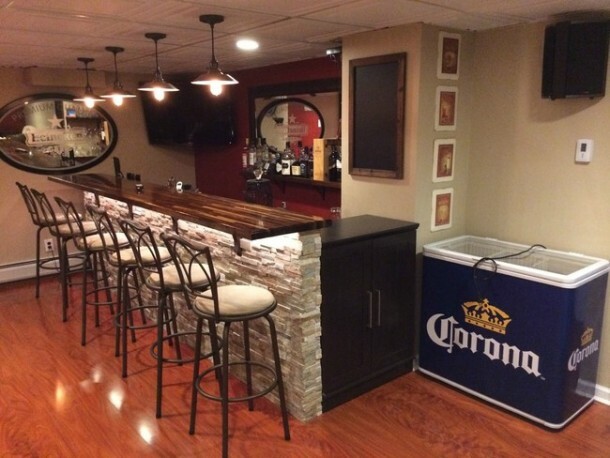 It was not really in use and he did not have to store anything in the basement, so he decided to convert it into a bar. The most interesting part: he did it all by himself! 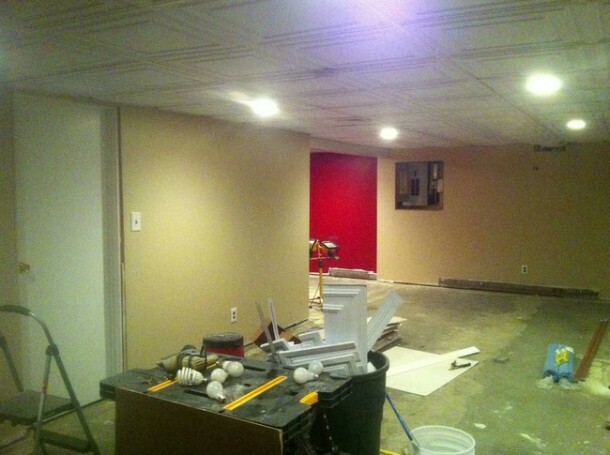 He initiated the process by taking out the wood panels he already had. 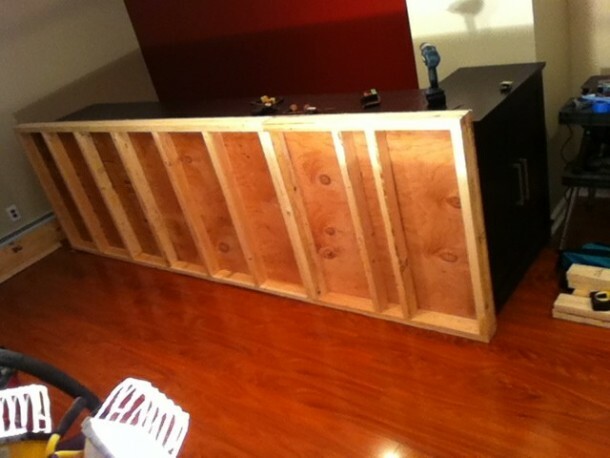 After getting done with room restructuring and making enough space for the bar table, he decided to get down with some serious work. 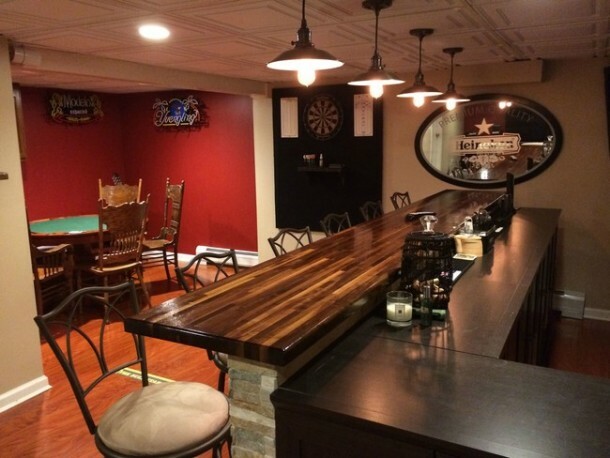 To avoid labor work, he decided to bring in a kitchen cabinet that was modified to impart a completely different overall look to the bar. 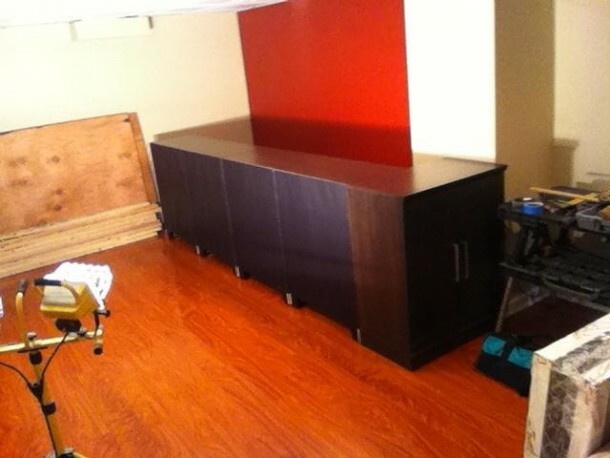 The wooden frame that you see in the picture below actually acts as a support for the kitchen cabinet. 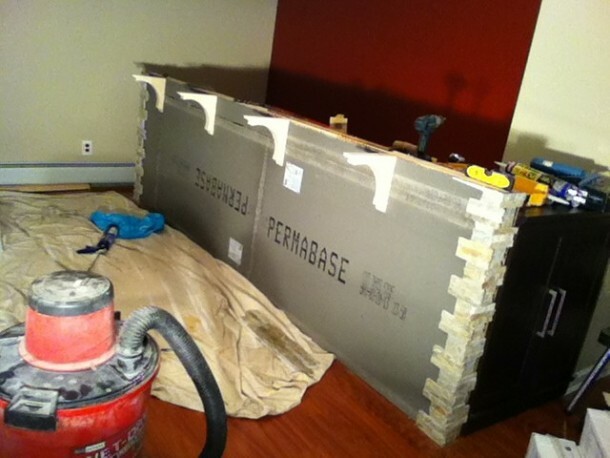 A permabase concrete board was added at the front of the frame. 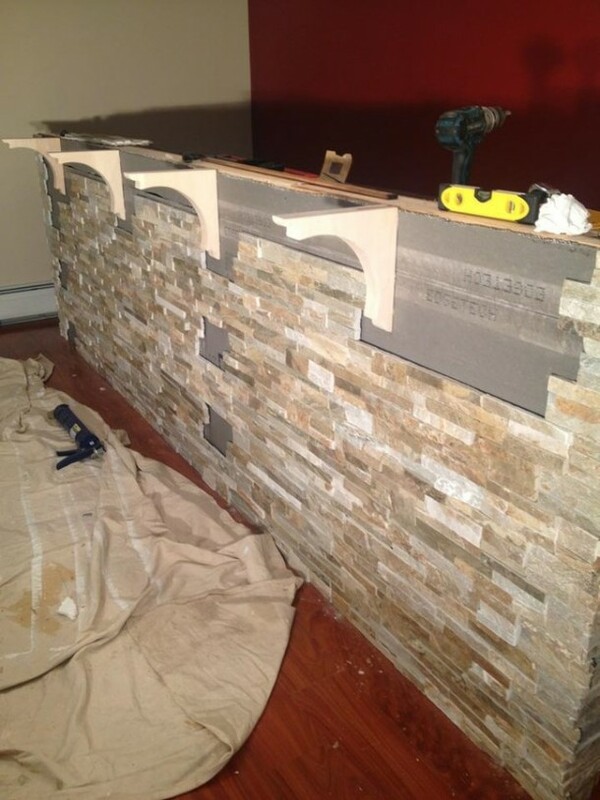 To decorate it like the topping on a cake, stone work was done at the front. 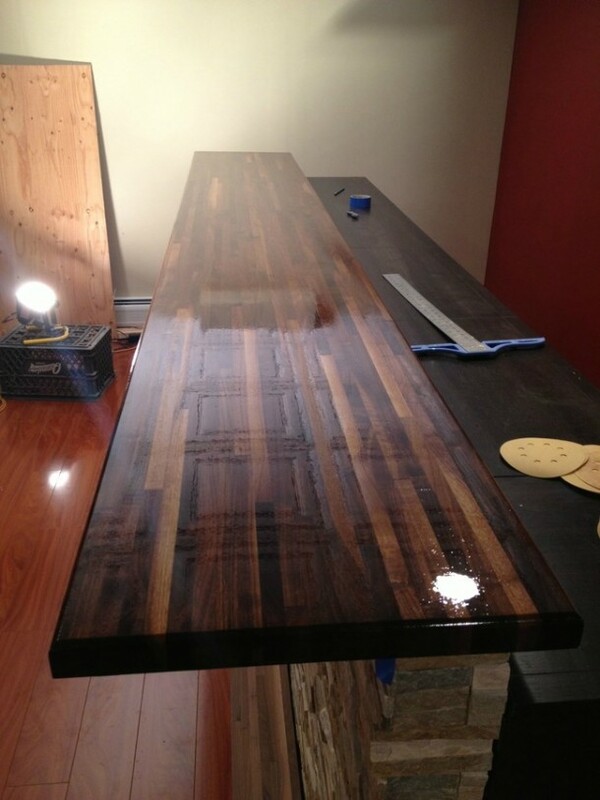 The bar surface was created out of the butcher block combined with a water sealant and gloss resin to give it a final touch. 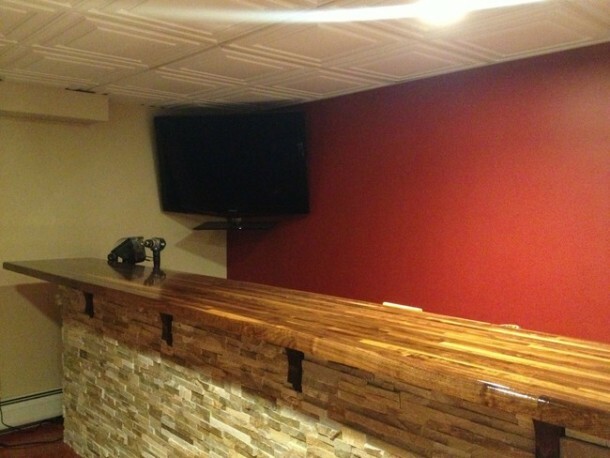 A TV was mounted at the top of the wall, to give a full fledge look to the bar. A little addition to the furniture of the room and the room is all ready . 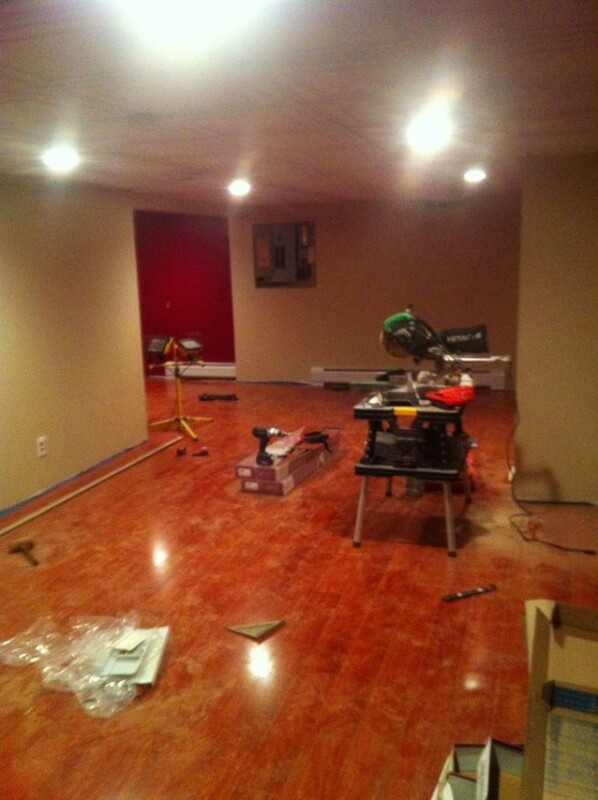 This is what the final product looks like.. Awesome No? Who can tell that all the effort and work was done by this guy himself.